Dawn M. Canty is partner and Chief Deputy General Counsel to the firm's Chicago office. She represents corporate clients who are the targets of regulatory enforcement actions and has conducted investigations and defended clients against Federal Trade Commission and state attorney general actions claiming unfair or deceptive acts or practices on the part of her clients in product marketing or advertising. She has an extensive national federal court practice, routinely litigating complex commercial disputes and civil regulatory enforcement and consumer redress actions in courts across the country. Dawn also frequently assists clients in resolving complex commercial disputes, including intercreditor disputes, lender liability claims, real estate litigation, fraud and breach of contract. 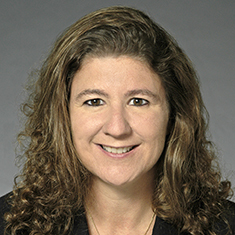 Her practice includes the defense of securities and consumer fraud class action litigation. Dawn routinely advises financial institutions, insurance companies and clients in the transportation, technology, manufacturing and communications sectors. Dawn is a counselor who attempts to avoid—rather than foster—litigation and, to that end, routinely engages in preventative business counseling of clients. She has engaged extensively in mediation and unique pre-litigation dispute resolution techniques. When negotiations fail, however, Dawn is a fierce advocate who has proven consistent in courtroom success. Shown below is a selection of Dawn’s engagements.